Last year was another great year for skinning. Users from around the world created some incredibly fantastic skins. Culturally, skinning is a great deal different today than it was back in the late 90s. 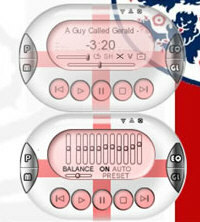 Back then, a popular skin might get a 1000 downloads. I remember when the first "Aqua" skins came out and the infamous "WinAqua" from Dangeruss managed to get 5 THOUSAND downloads total which was, back 2000 or so, a real milestone. Now, downloads of 50,000 are common and most of the top skins can expect to be reaching towards 100,000 downloads. The popularity of skins has altered the way skins are made. Designs tend to be much more mainstream. While programs such as WindowBlinds and Winamp allow for pretty free-form skin designs, the trend has been to make them conservative and "clean" to appeal to the widest audience. In this article, we look at some of the best skins of last year. This article is, by no means, the end all be all list, we do try to include a good selection of the best creations from the past year. 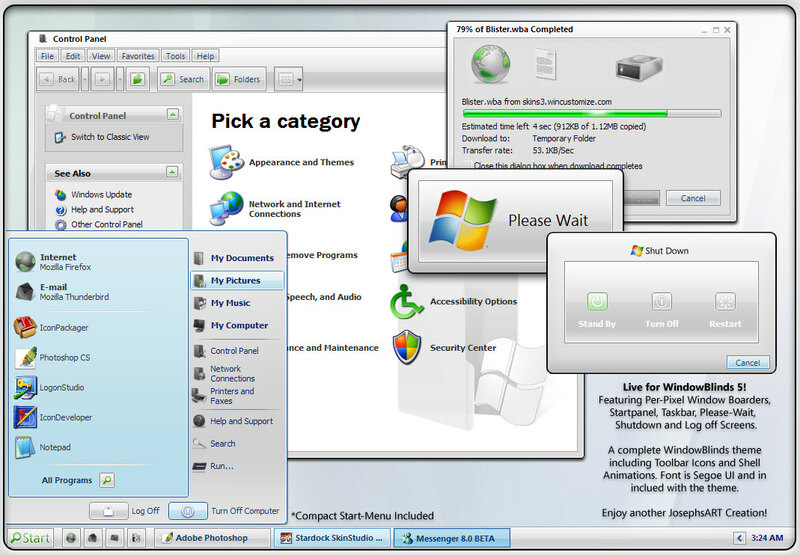 WindowBlinds is a 3rd party program developed by Stardock (whom I work for) that lets users apply GUI skins (often called visual styles) that change the overall look and feel of the Windows interface (title bars, push buttons, Start bar, etc.). 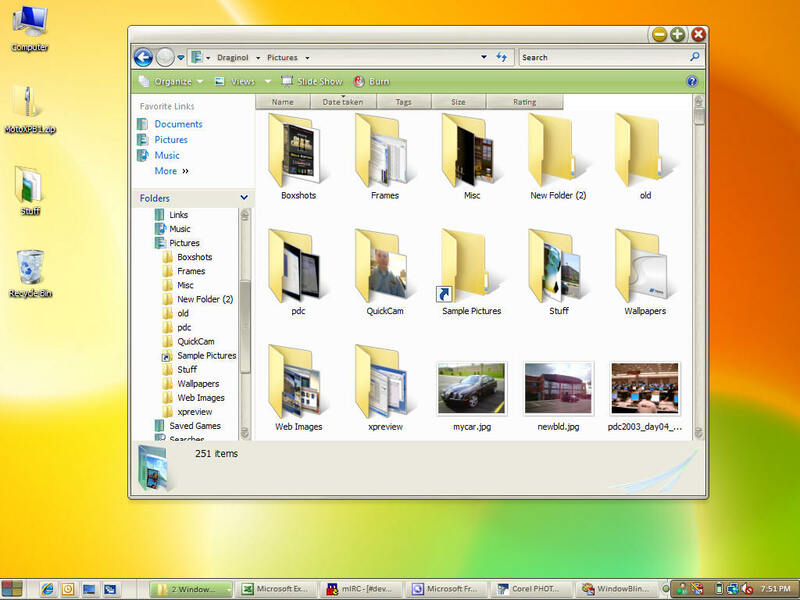 To use WindowBlinds skins you will need to download WindowBlinds. Last year was a great year for skinning. Not counting the great skins that came out of the GUI Championships, here are ten of the best (there were so many great ones to choose from so apologies to all the other great skinners we didn't include). 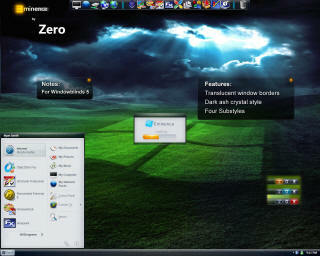 danill0c's 5imple skin was one of the first WindowBlinds skins to really show off what WindowBlinds 5 could do. Both a practical skin and very polished at the same time. The subtle shadow effect is part of the skin (WindowBlinds 5's engine supports alpha blending effects like shadows and glass). A terrific design all together. Kol's Thallos was one of the best skins of last year without a doubt. Clean, smooth, and useful, its subtle shadows and polish made it a favorite for users. 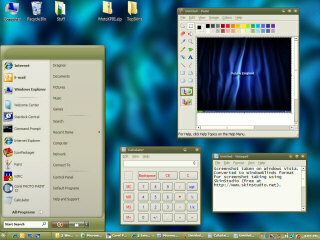 Thallos is unique in that Kol created both WindowBlinds and msstyles versions of it and hence won in both categories. The two are virtually identical. 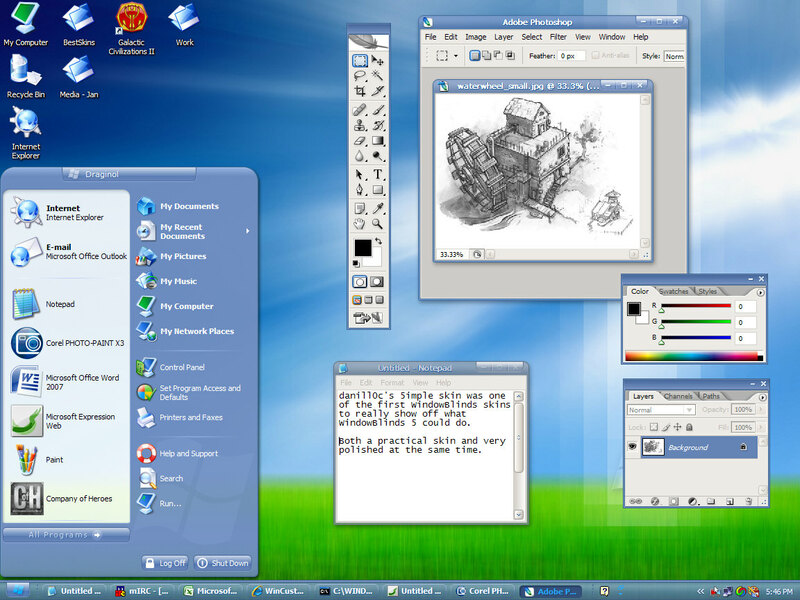 The WindowBlinds version adds toolbar icons, and a progress animation. Josephs's Live Suite was one of the highlights of last year. Some argued that this is the look they wish they'd updated Windows 2003 Server to look like. 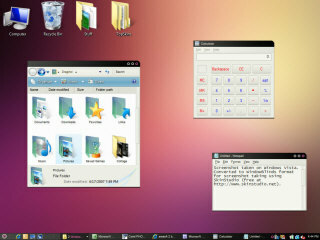 A good step between Windows XP and Windows Vista. ChaNinja's MotoXP B1 was one of the most beautiful skins created last year. Both highly stylish and very usable. It comes in multiple styles, supports animation, and is very fast. danillo0C was almost certainly the top skinner of 2006. Besides making the top GUI Championship skin Acrylic, he also made Aerial. This skin has it all and is incredibly usable and fully-featured. JJ Ying was another skinning super-star last year and one of the best skins made last year was Ecliz Deluxe. The screenshot really doesn't do it justice as it comes in multiple styles including a clear glass version. A truly amazing skin. And as you can see, it works great on Vista as well as XP. No best of 2006 list would be complete without tehZERO's Eminence. 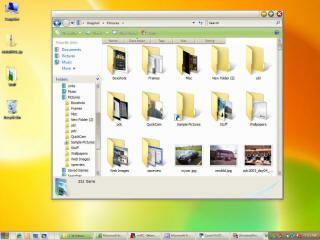 With its cloudy stained glas title bars, clean design, it looks great on both Windows XP and Vista. For users getting tired of Aero-like glassy skins, Buuf-OS from Gabriel provided great relief. With great toolbar icons (for XP users), great progress dialogs, and lots of other subtle tweaks and enhancements, it's just a beautiful and original skin. 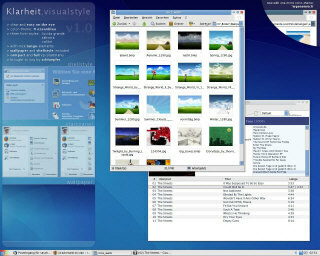 Adni's VistaPlus was the most downloaded WindowBlinds skin of 2006 with nearly a half-million unique downloads. 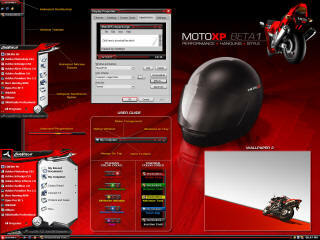 It doesn't run on Windows Vista but for Windows XP users looking for a fantastic looking skin on Windows XP that in some respects is a better Vista than Vista, VistaPlus is a great choice. MikeB's Old Republic was one of the more original skins that also maintained a high degree of usability and polish. With a subtle shadow and distressed style, it's an awesome choice for users looking for something different. 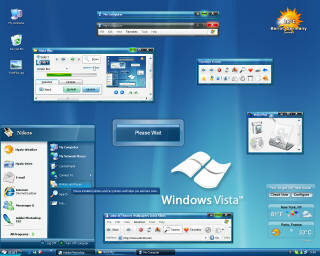 Last year might have been the twilight of XP msstyles with Windows Vista's arrival this year. But it was still a great year for .MSSTYLES. 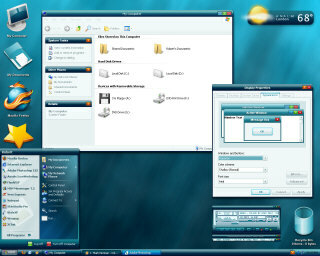 MSStyles is Microsoft's skin format designed for changing Windows XP's look and feel. While not as powerful as WindowBlinds, it has a significant following. 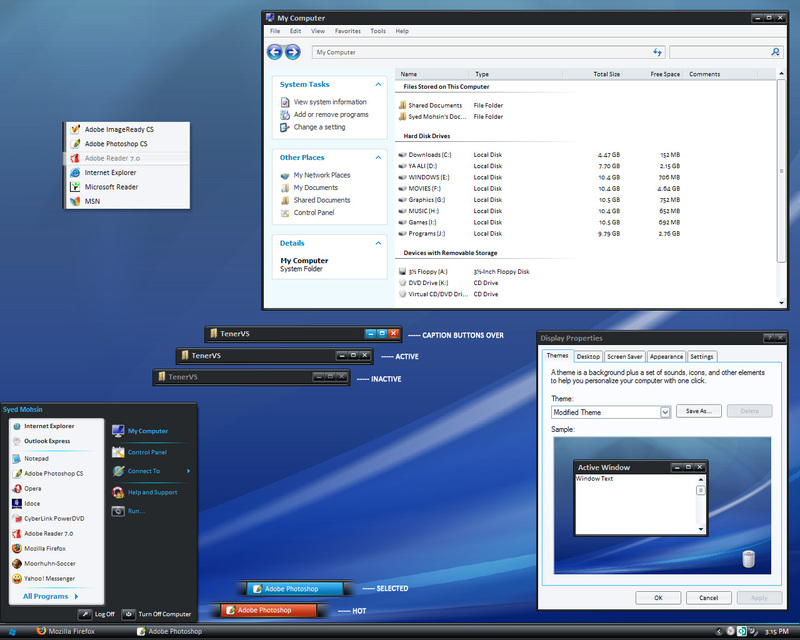 Third-parties can make skins and use them provided that the uxtheme.dll is cracked to disable digital signing protection. Below are some of the notable ones we found made from last year. To use .msstyles you will either need to crack the digital signing verification in uxtheme by patching it (which you can obtain at Neowin.net and elsewhere) or you can download/install SkinStudio and use it to convert them to WindowBlinds format. There's a quick guide for that here. In the case where we took our own screenshots, they were taken on Windows Vista via WindowBlinds since XP msstyles won't run on Vista. Here are some of the best from 2006! Luna Element 5 from Tornado was easily one of the favorites of users everywhere. With a clean UI that blends XP and Vista together seamlessly, Luna Element makes our list of one of the best skins of 2006. LE 5.1 released in January of this year keeps the updates going. Kol did double-duty with Thallos. 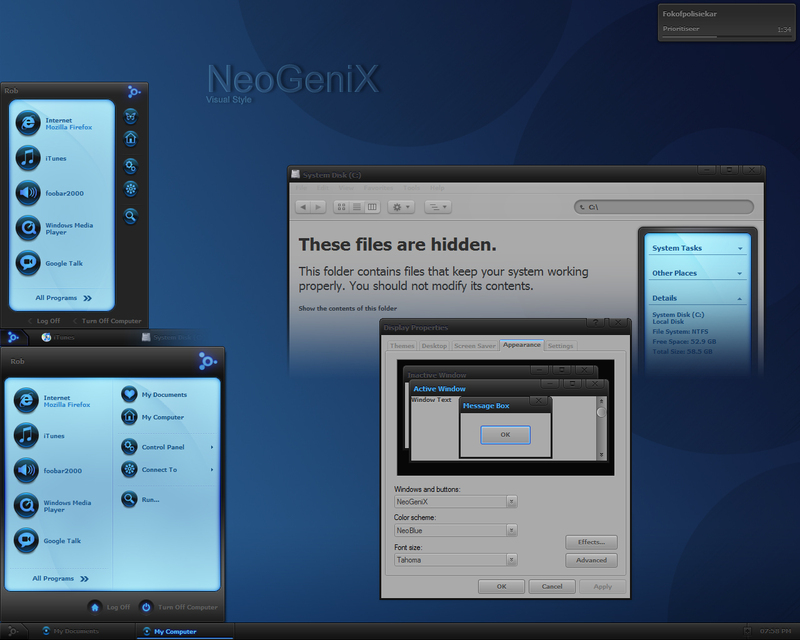 Available both for WindowBlinds and as an msstyles, it was a user favorite. No top 10 list on msstyles would be complete without mentioning MohsinNaqi's Tener VS. What makes Tener so special is in the details. 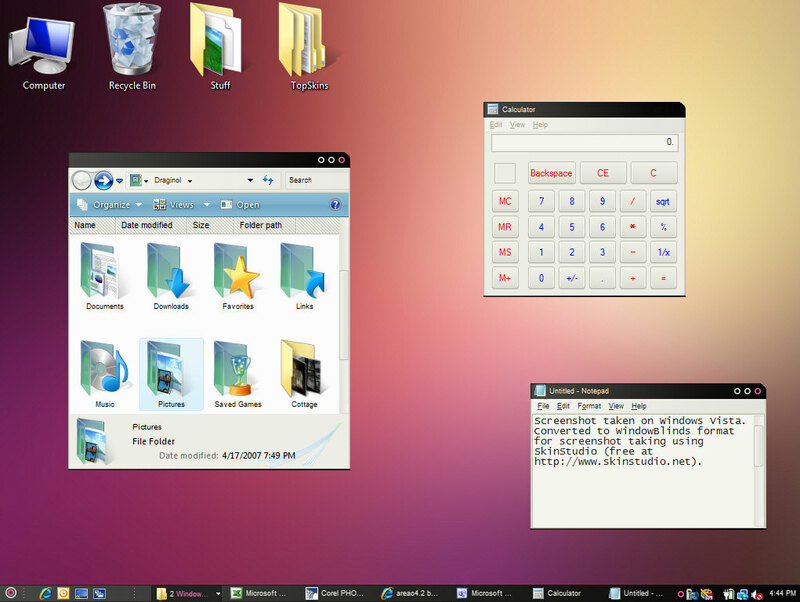 The taskbar is extremely well done and the colors are very carefully chosen. Mohsin Naqi is a top skinner with icon packages, wallpapers, WindowBlinds visual styles, and more (you can check out his site here). heylove's Area04 (Areao4.2), like many of the top msstyles, made deviantART's daily download (this one on New Year's Eve!). It is significantly different than most of the msstyles we saw last year. Combined with its original design, clean style, and several different sub-styles, Aera04 makes our list. Schluepfer's very first visual style was Klarheit. And if this is what his first effort is, we can't wait to see what he makes for 2007! 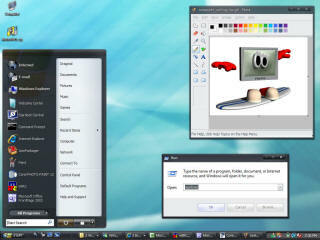 hsn's Mint 2.0 started its life as a Linux Gnome GTK2 theme and brought over to Windows XP. 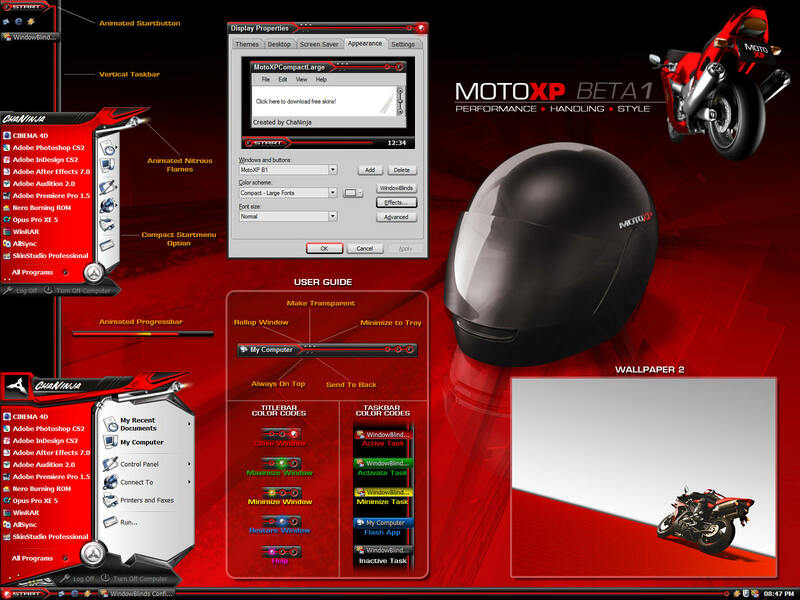 Despite not being "original", it is still one of our favorite skins of 2006 regardless of where its original platform was. For the shadow effect, you'll need a shadow program such as WindowFX. 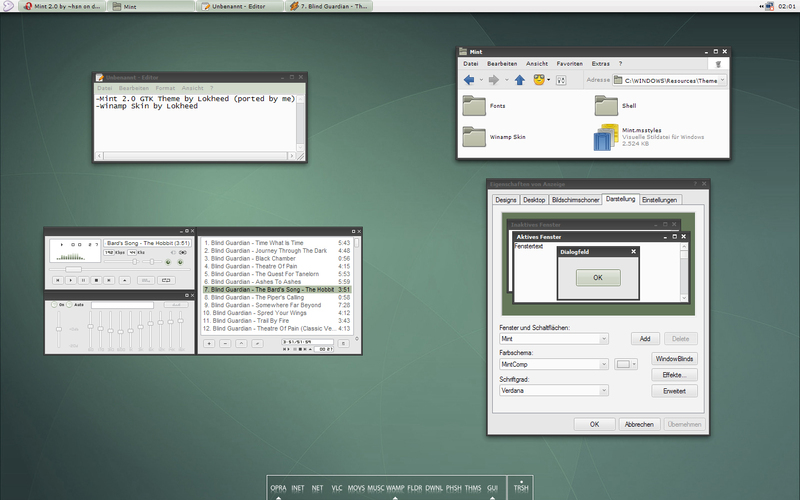 Tempura is another Linux GTK theme that was ported but like Mint, the platform is less important than the excellence in the skin itself. Lokheed had a great year and you can see his complete portfolio here. hsn's port of it really shines. You can see how it looked on Linux by going here. Like Mint, you'll need to download a program like WindowFX to get shadows. Bant's Reluna Em3lent is a great example of Bant's elegant design philosophy of creating usable, clean, and elegant skins. The skin actually comes in several different flavors that look significantly different from one another. Any individual sub-style would be on its own one of the top skins of the year. Getting them bundled together in this single visual style package makes it just that much sweeter. Cyberchaos's Aquanox VS was one of the most popular msstyles of 2006 with over 100,000 downloads at deviantART. Inspired by some of Kol's other work, this clean, usable and original skin makes our list. dobee's NeoGeniX's is one of the most polished and original looking msstyles of last year. It was a favorite of many of us this past year. 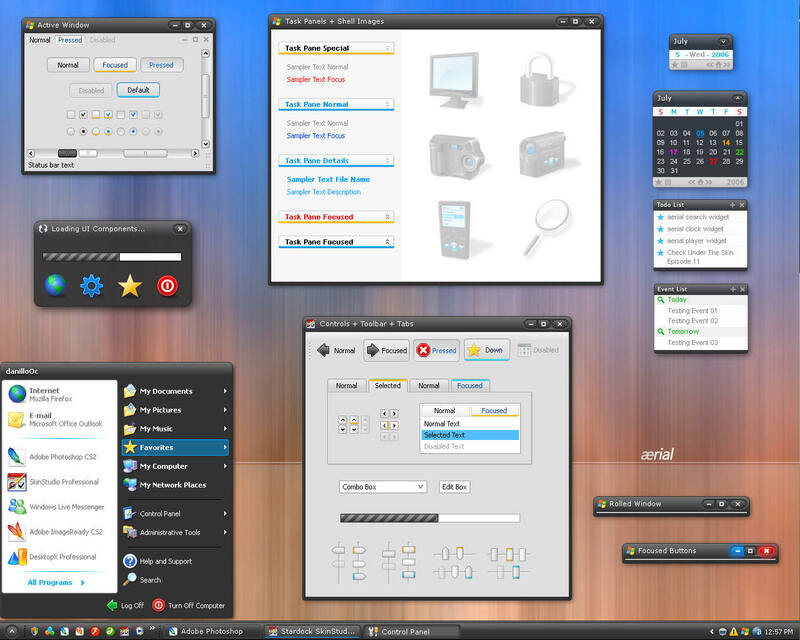 When combined with the right icon package, a toolbar theme, and the NeoGeniX ObjectDock, users can give Windows a whole new look. 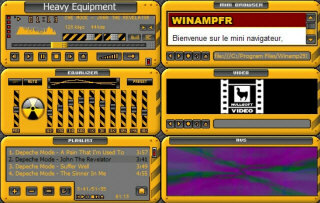 Winamp was the skinning program that started it all. Originally Winamp skins were very limited in what they could be. 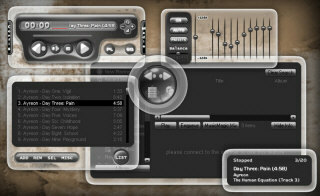 But WinAmp 5 supports both a free-form skinning format as well as the easy but limited skinning format. Here are some of the highlights from last year. To use Winamp as your media player, you will need, of course, Winamp. 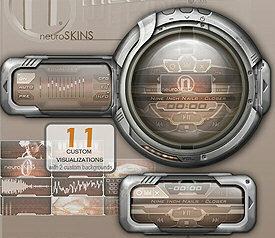 NeuroSKINS Meridian was definitely one of the best looking Winamp skins we saw last year. 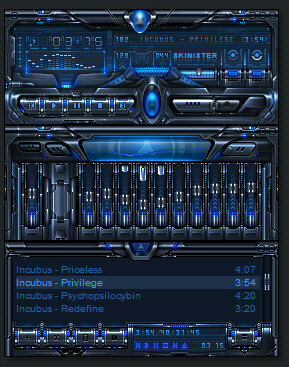 Taking full advantage of the Winamp 5 skinning engine, it's both highly usable and just looks great. 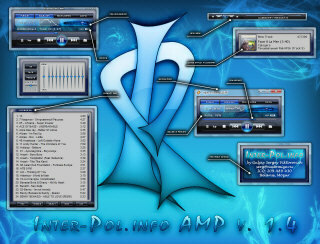 883's Drone was possibly the best Winamp skin of 2006 that we saw on WinCustomize.com. 883Design has been perfecting this design for quite awhile but its final arrival was Summer of 2006. 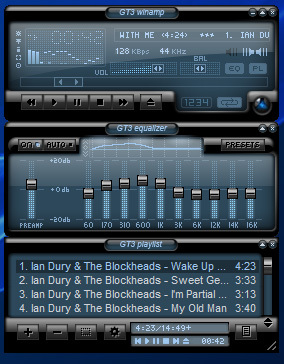 Tiggz's GT3 skin was ranked on our list as one of the best Winamp skins we saw last year. Part of the GT3 skin series, it is a clean, bold look with a high degree of functonality. In a year with a lot of glass skins, GlassAMP from jeree01 one of the best we saw combining the signature glass look with a high degree of usability. While not as usable as the cleaner, simpler skins made by others, Skinister's self-named skin has a high degree of creativity and originality putting it on our list. faris's Cell skin was another favorite for many users. 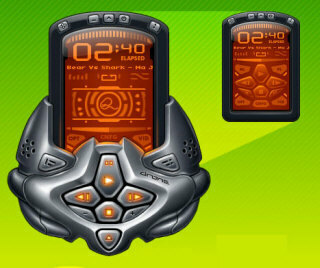 With over 50 different color styles and many different ways of using, Cell was easily one of the top skins of 2006. Inter-Pol.info AMP continued the trend of glass-styled skins. But unlike many skins, this one was able to carry it out without it looking like a Vista clone. An exceptional skin. Maybe we were a little biased but the Heavy Equipment community project (which delivered skins for dozens of programs) gets bonus points for letting users have their entire UI have a consistent look (screenshot of complete suite here). But regardless, it's still a great skin. 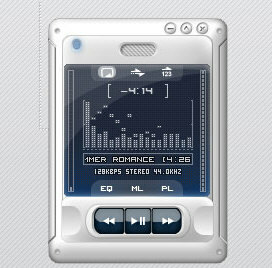 Winamp skin from Elvee. MrV2K's Pebble skin has a great, polished design. 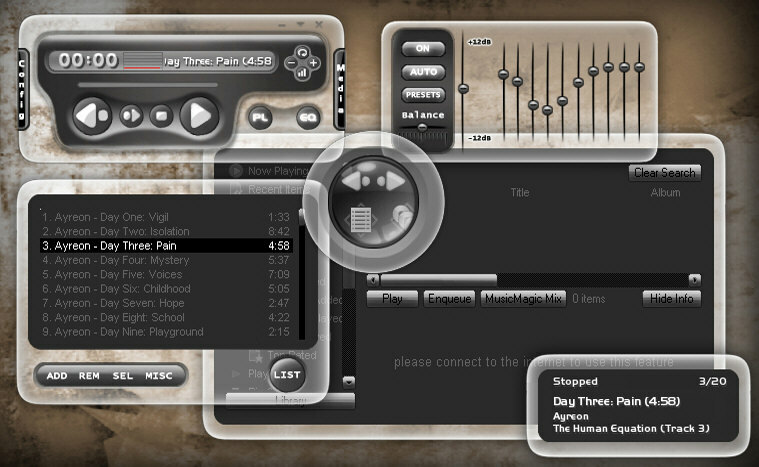 Its usability to the user depends on the user of course but we found this to be one of the better Winamp skins we found this past year. Snowman's 5imple Winamp skin takes a different route than most. It makes Winamp into an almost iTunes-ish media player with a very simple and clean skin based on the popular WindowBlinds skin. That's it for this year. There are so many other skinnable programs out there that I wish there was time to cover them all. If you have your own list of favorite skins, feel free to comment here and I'll try to check in and update the bottom of this article with some other noteworthy lists or produce a follow-up with with favorite skins of other programs or ones you think we missed. Makes you feel all fuzzy inside, don't it? What you doing for Anzac day?